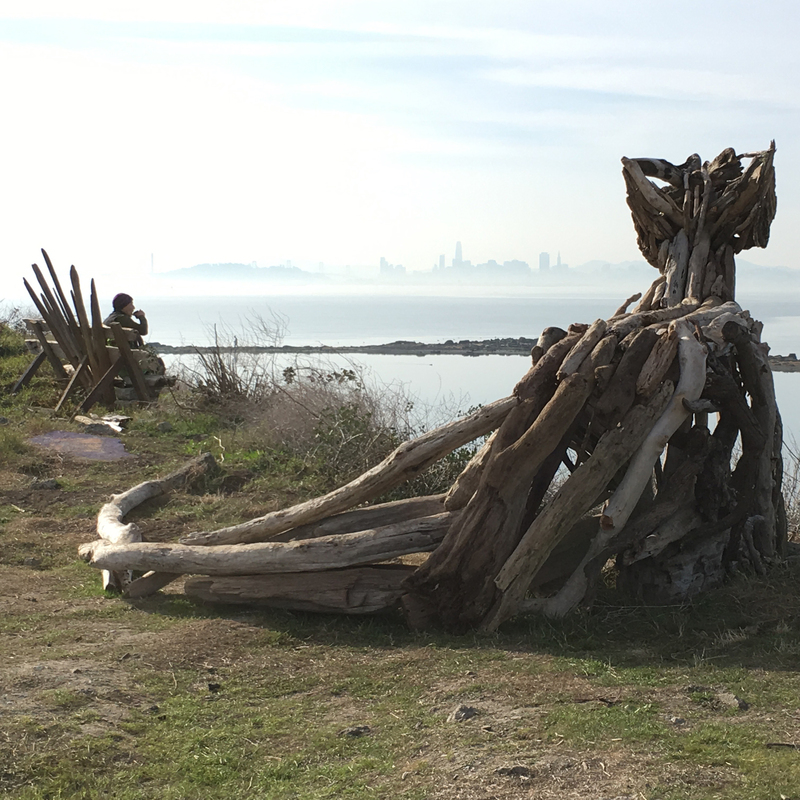 Participants in the Amateurism Across the Arts conference are warmly invited to a 2-mile walking tour of the Albany Bulb, a San Francisco Bay former landfill known as a hotbed of amateur art. The tour will run from 9:30 to 11:30. Separate registration is required on Eventbrite. Attendance is limited to 25 people. The walk/hike will cover about 2 miles. The Bulb proper is 31 acres, about the size of Alcatraz Island, and the route includes some short, steep slopes and uneven footing over dirt and gravel paths. Meet at the bulletin board at the parking lot for the Albany Waterfront Trail, near the large bird sculpture at the parking lot turnaround. Use the address of 1 Buchanan Street, Albany, CA for navigation. Wear sturdy shoes or light hiking boots--the trail can be rocky and muddy. Wear layers as it can be quite windy. Bring water, sunscreen, and a snack. A daypack rather than a shoulder bag is recommended if available as you may want both hands for balance at a few spots. There is no drinking water and no flush toilets at the Bulb. There is a chemical toilet at the parking lot. Cell phone coverage can be spotty at the western end of the Bulb. We have timed the tour to allow people who want to attend the Kenneth Rainin Foundation Public Art Practices symposium at 1 pm the same day to have time to get lunch and attend that event. By Car: The site is a 15-20-minute drive from downtown Berkeley. Take the Buchanan Street exit from I-80/580 or turn west on Buchanan Street from San Pablo Ave. Continue west on Buchanan Street under the freeway to the terminus of Buchanan Street. Allow time to park--if the parking lot is full you can parallel park on Buchanan Street, but only on the north side of the street at spots that are a 7-minute walk from the bulletin board meeting point. By Bicycle: There are bicycle racks available just west of the parking lot, along the paved path near the beach. The Bulb is accessible by the Bay Trail but north of Gilman Street there is no formal Bay Trail connection to the Bulb. However, you can ride up over Fleming Point through the parking lot for Golden Gate Fields to the Bulb. To avoid sand, you may veer east through the bollards north of Fleming Point and then make a left turn onto Buchanan Street. Alternatively, you can take the Ohlone Greenway to Marin Ave., which turns into Buchanan Street. Along Buchanan Street there is an off-street bike path that continues under the freeway to the Bulb. Public transit: The site is not readily accessible by public transit.